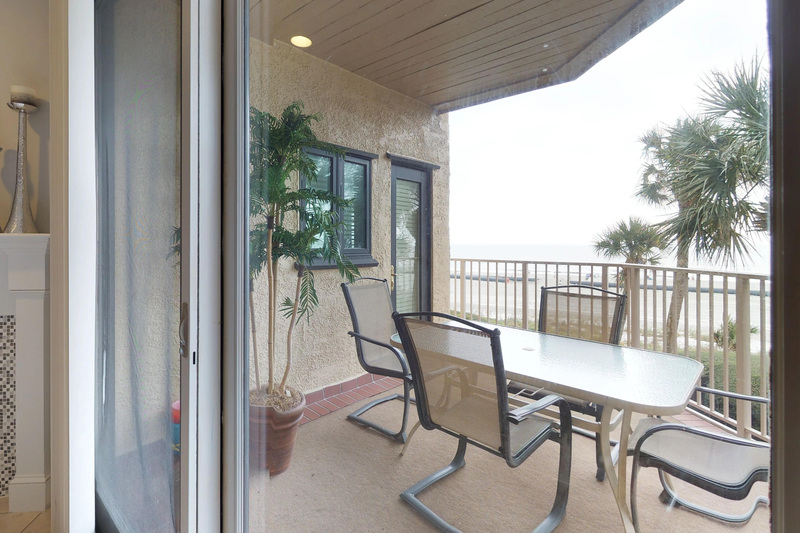 This three bedroom flat in Turtle Lane provides excellent views of the Atlantic Ocean from the private balcony. 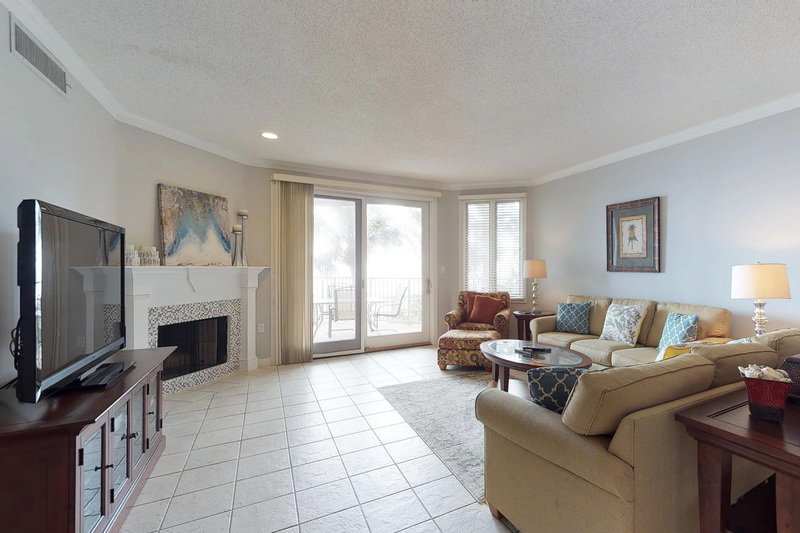 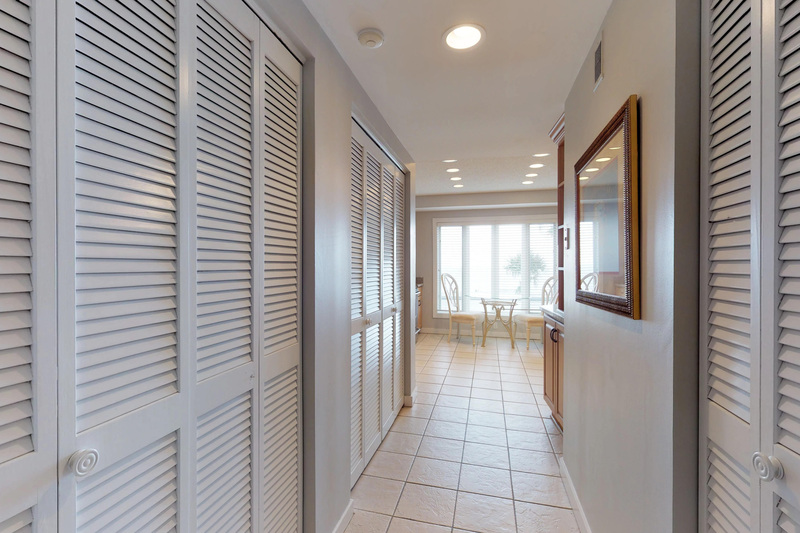 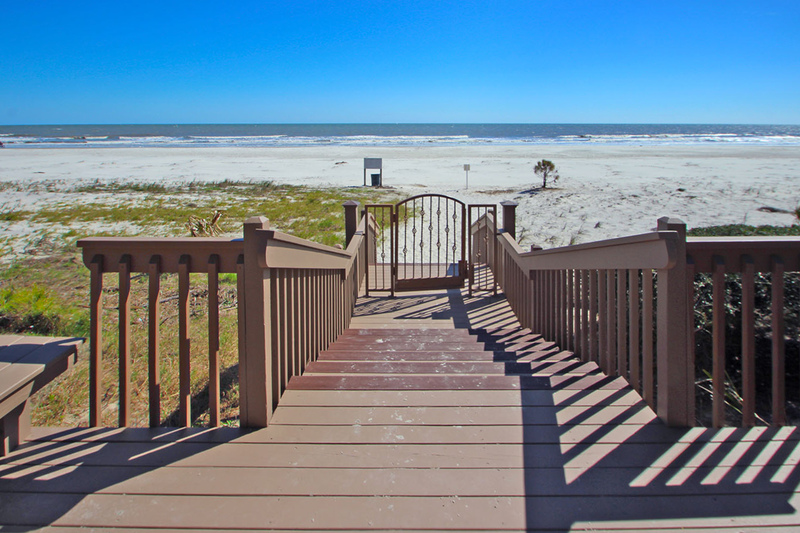 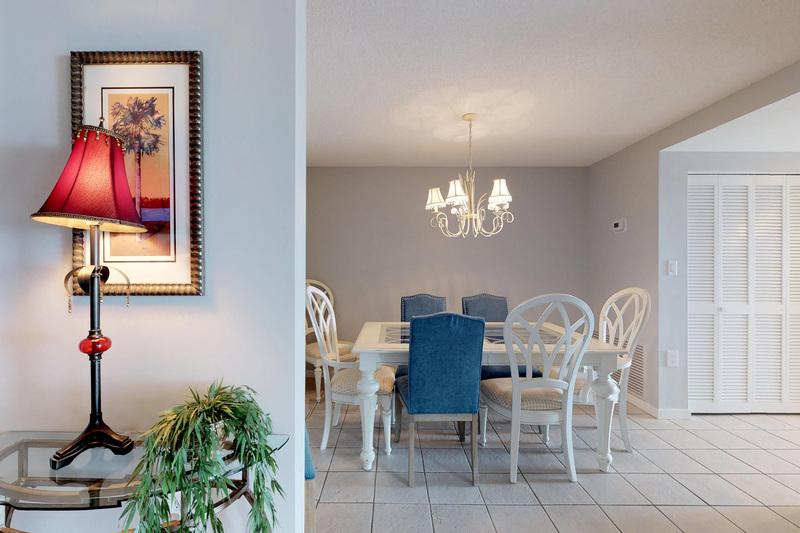 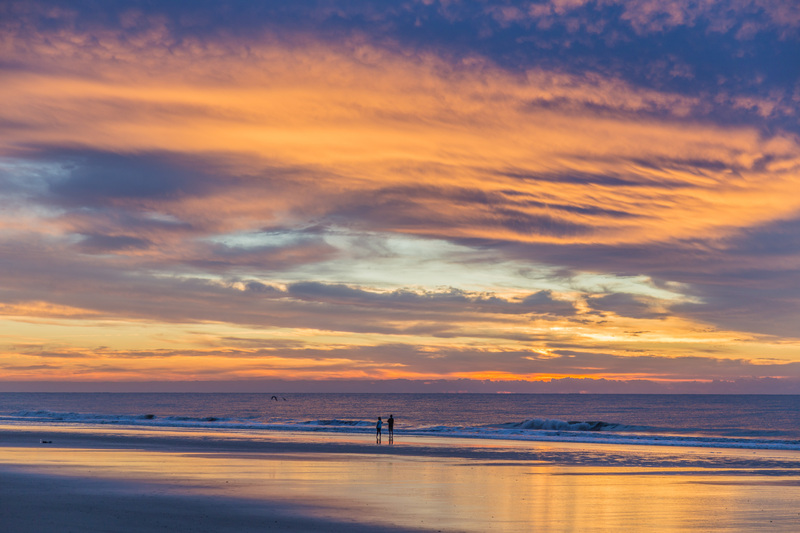 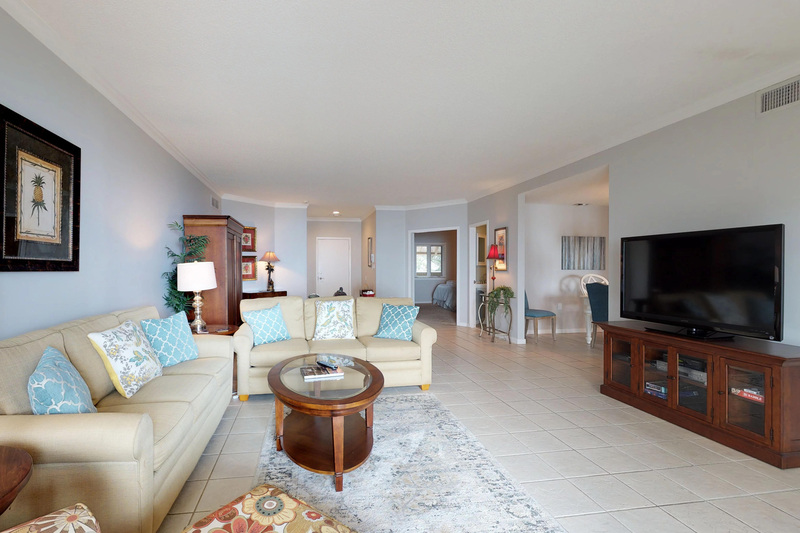 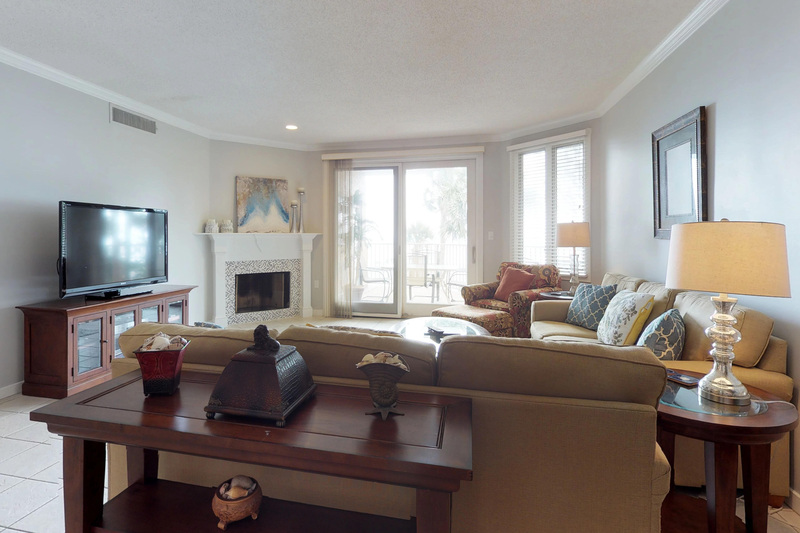 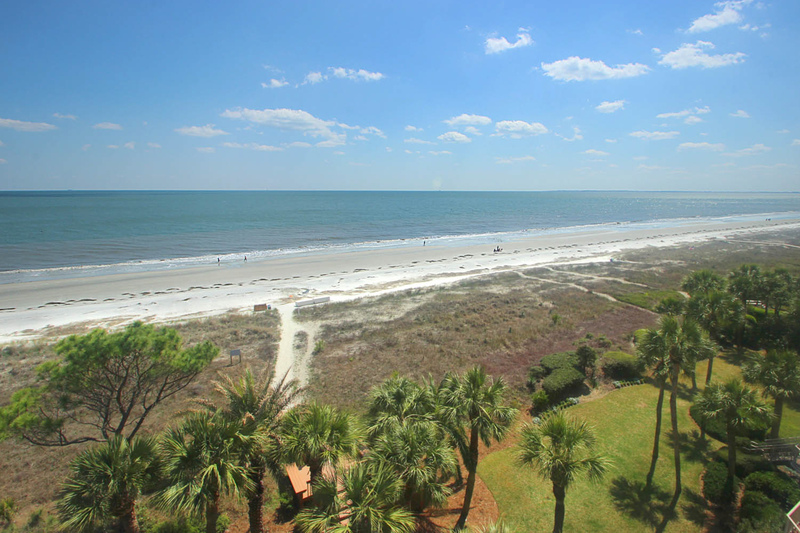 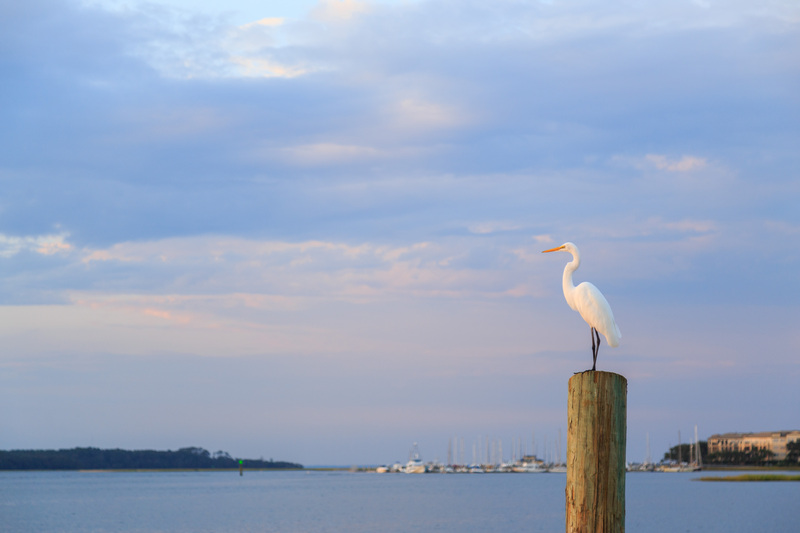 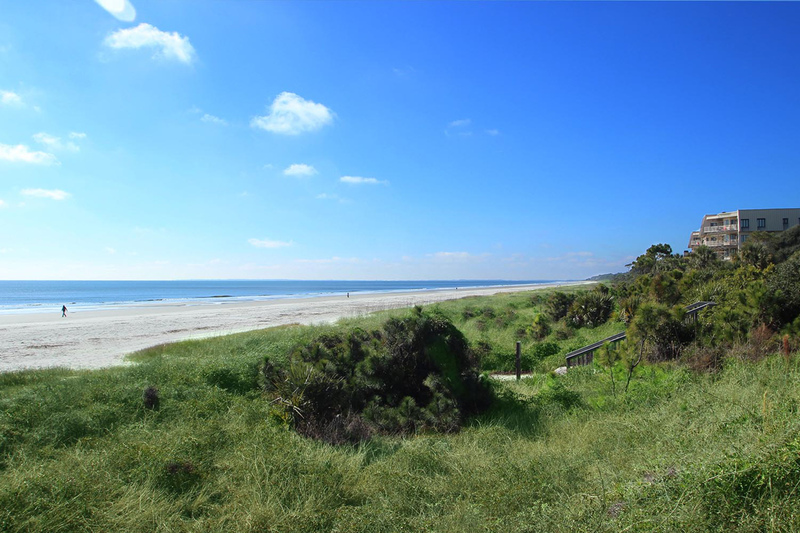 From the living space, kitchen and master bedroom you will find the ocean views breathtaking. 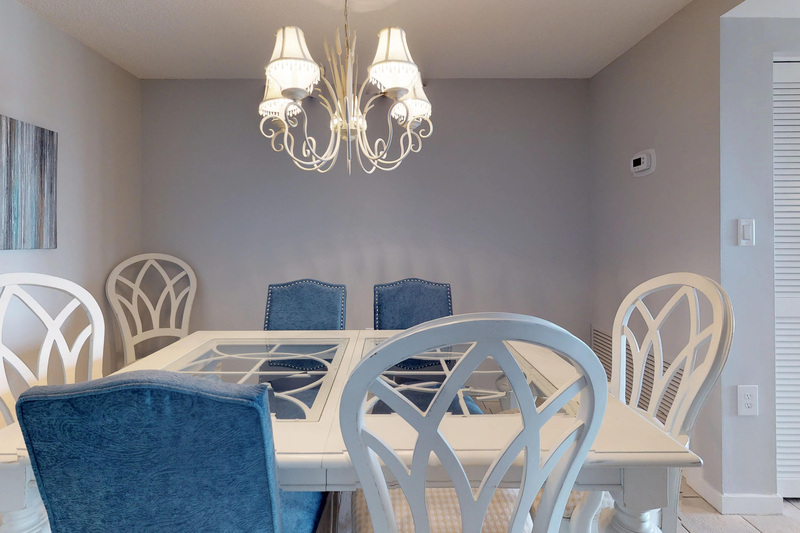 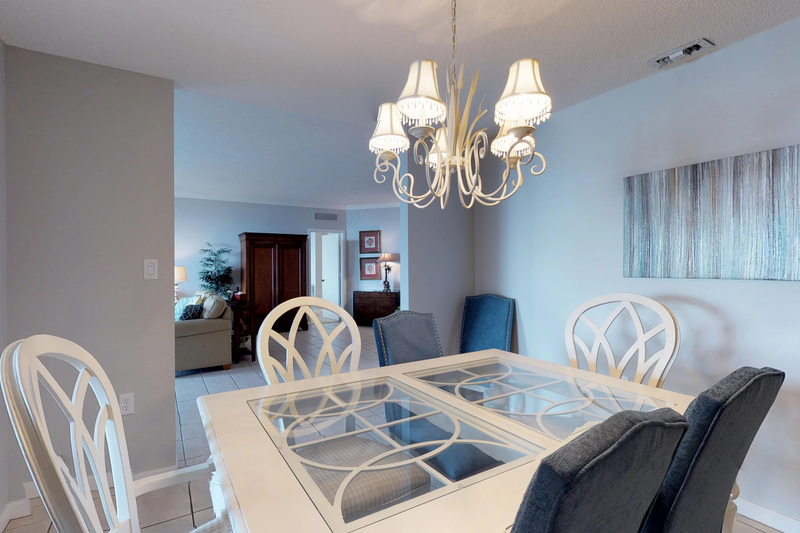 As you enter the villa you will be pleased with the open living/dining room and the direct access to the balcony. 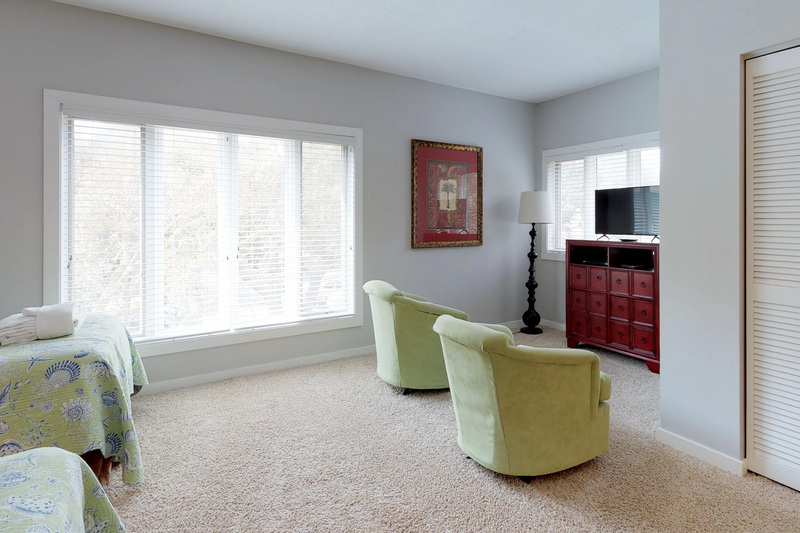 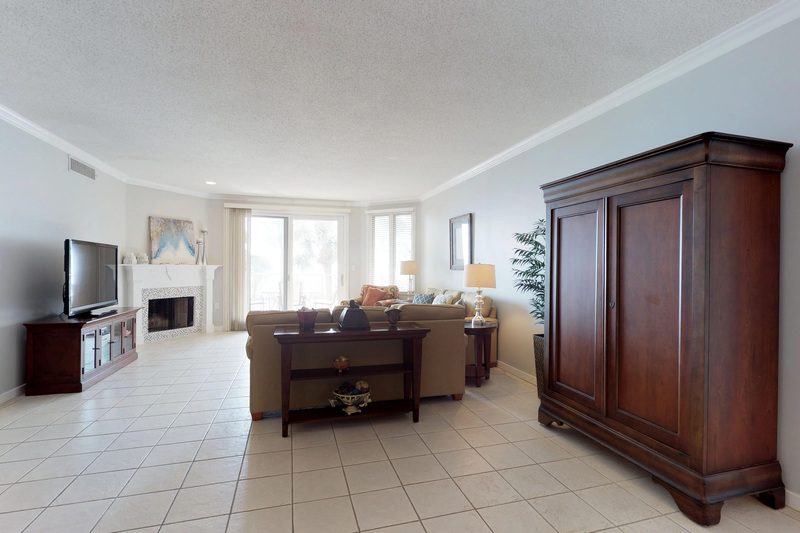 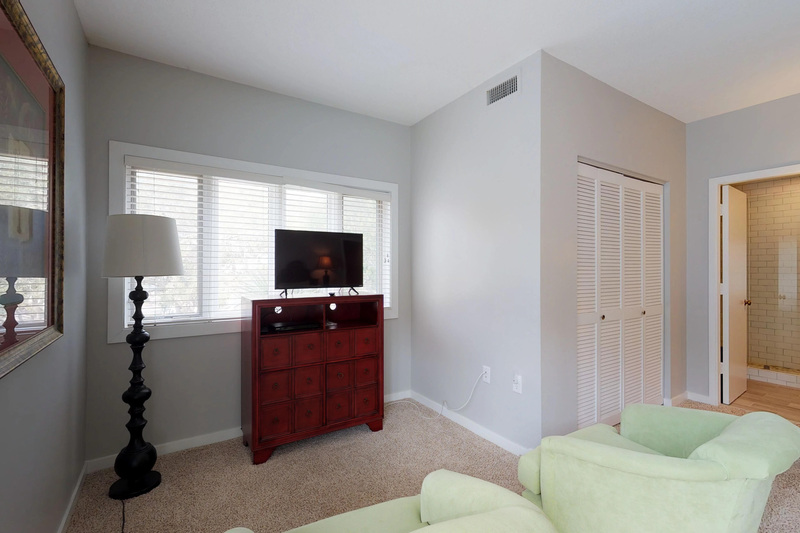 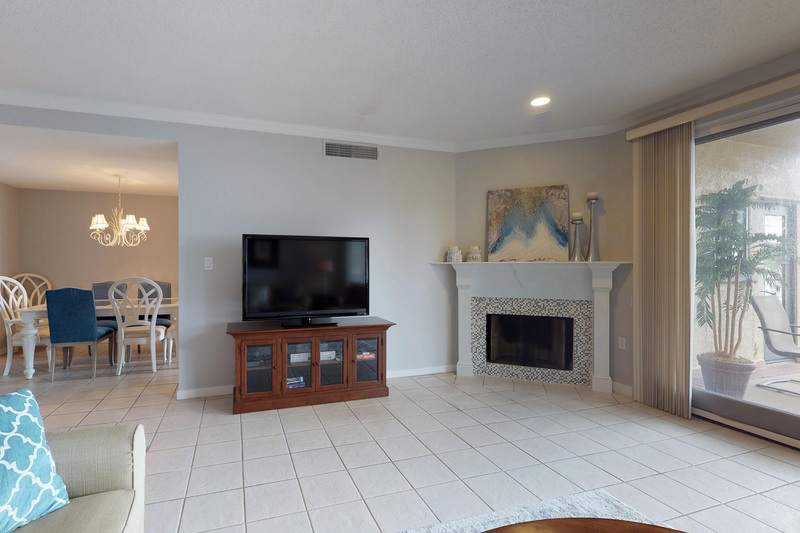 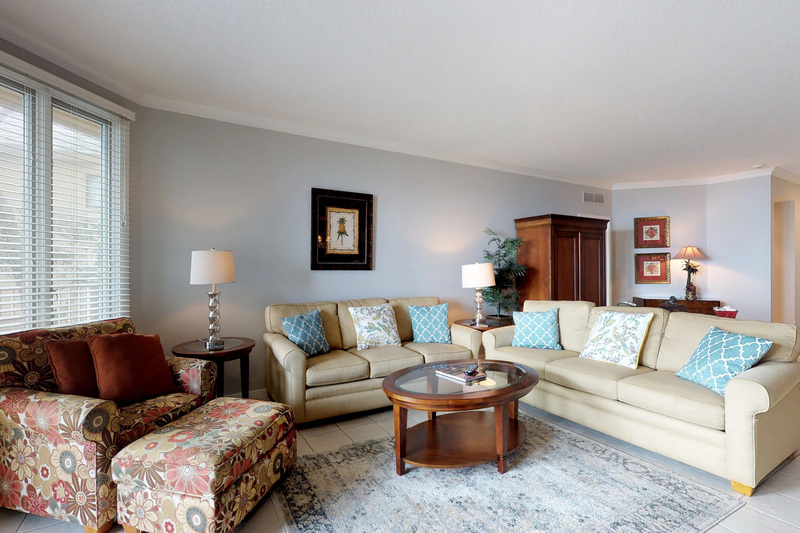 The well-furnished living room also features a 52 inch LCD flat screen TV. 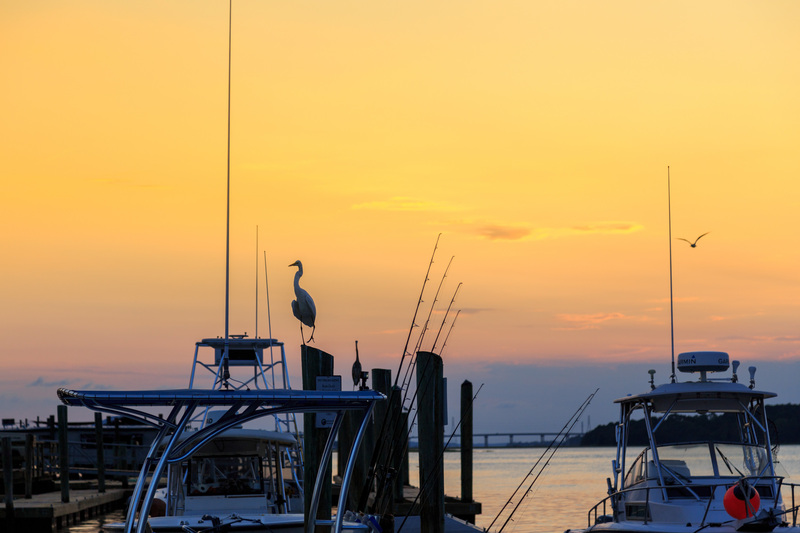 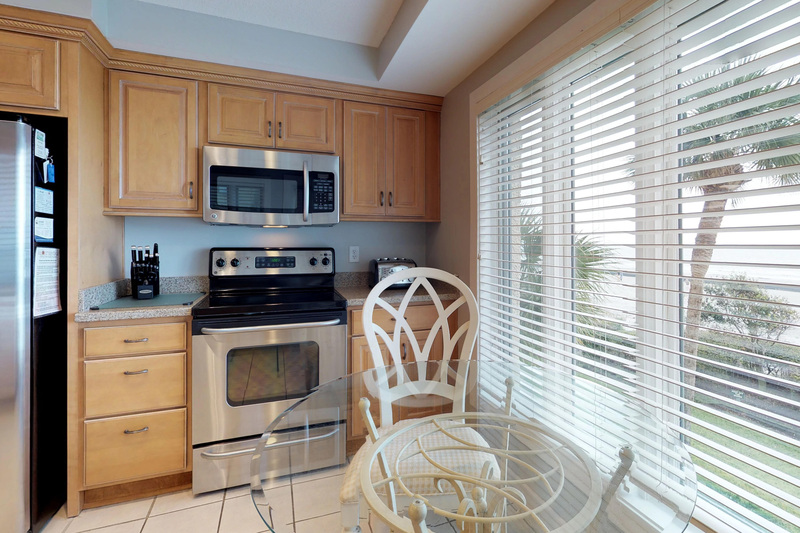 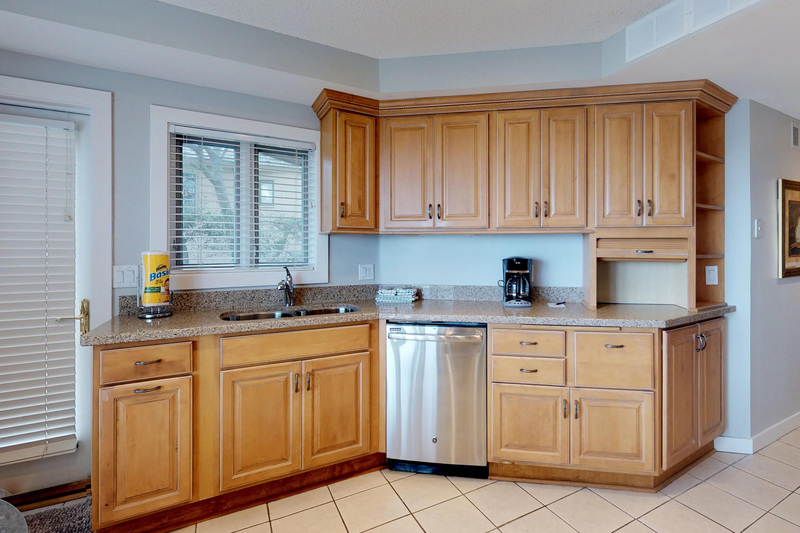 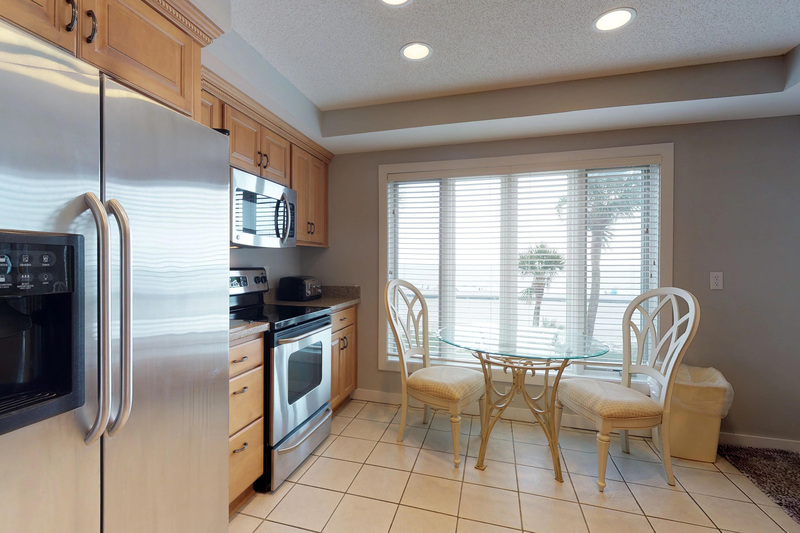 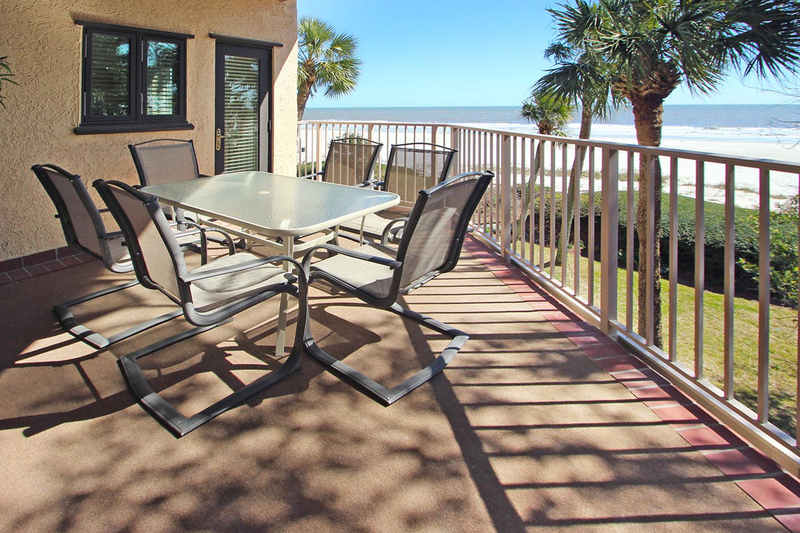 The kitchen is well stocked and offers a small table to enjoy your morning coffee while enjoying the ocean views. 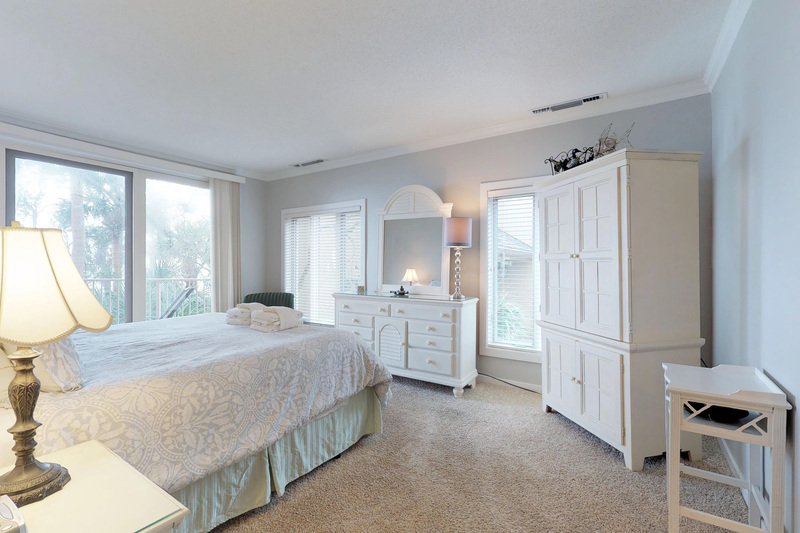 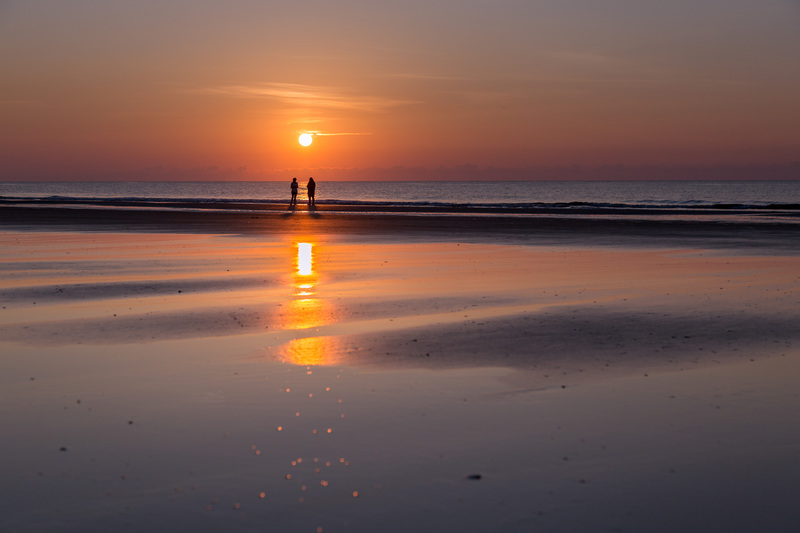 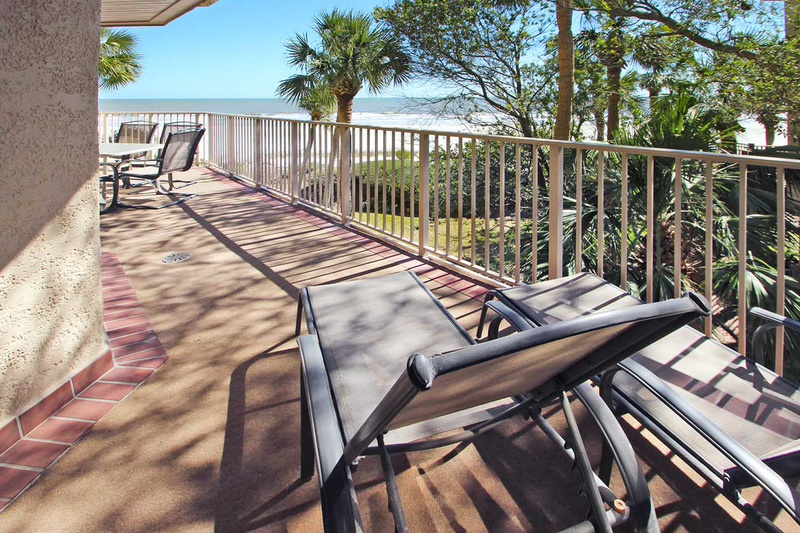 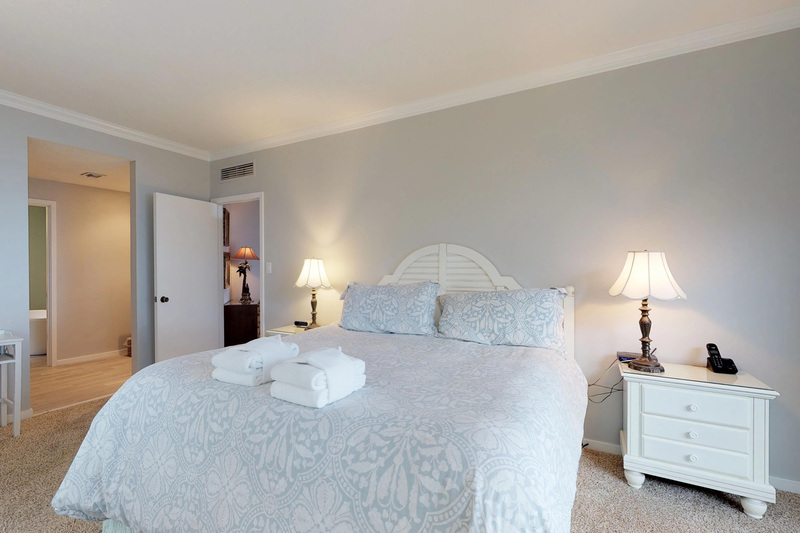 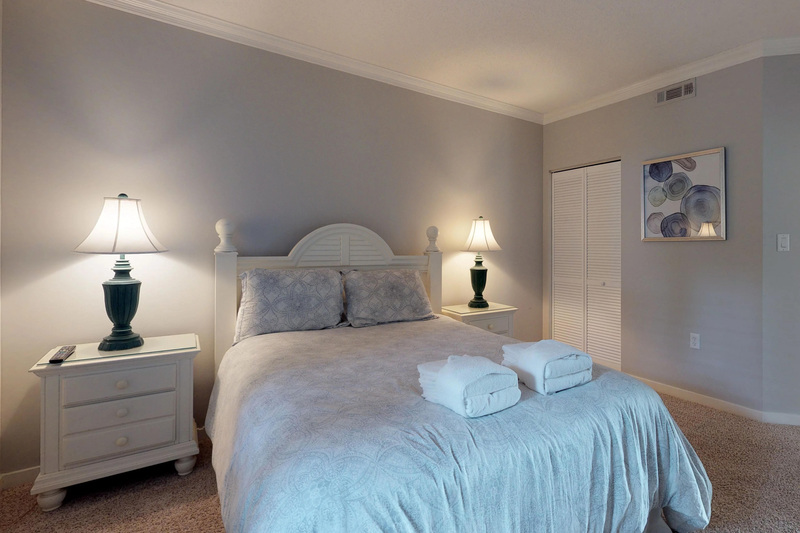 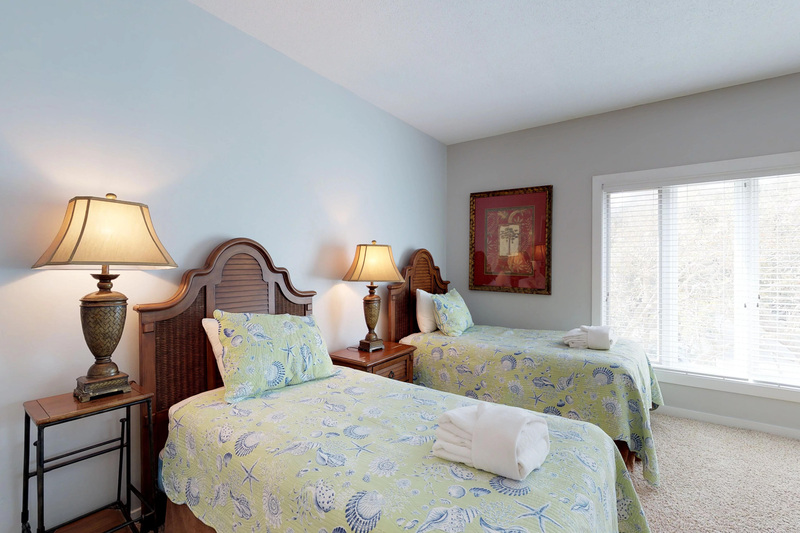 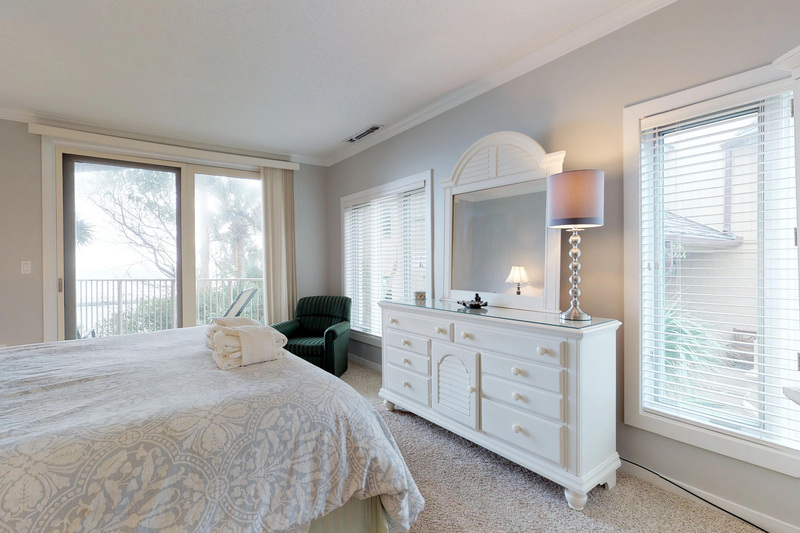 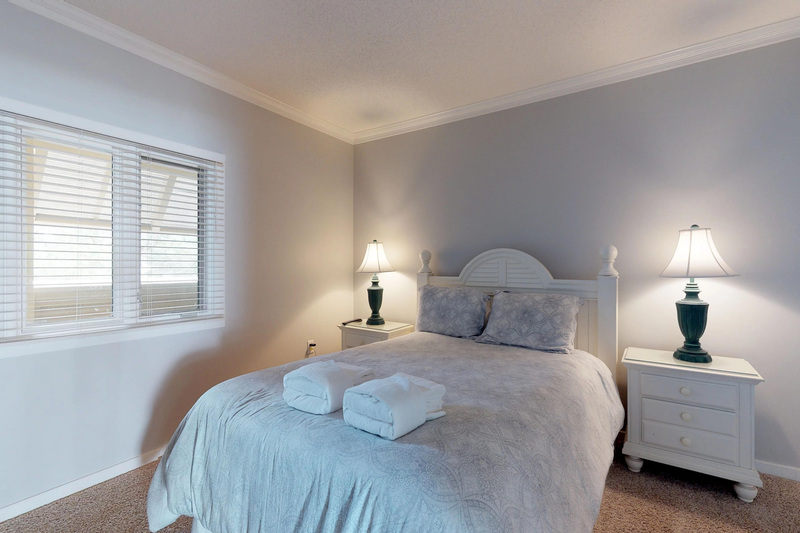 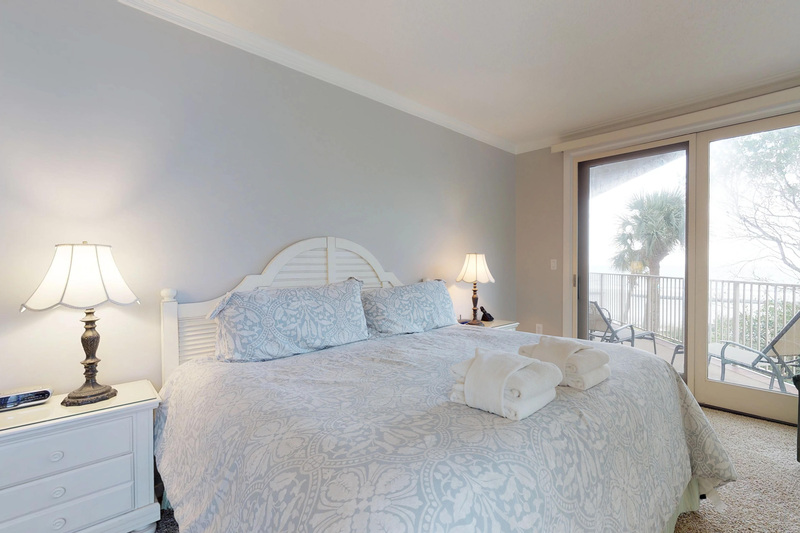 The master bedroom is equipped with a king bed and features ocean views with access to the balcony as well. 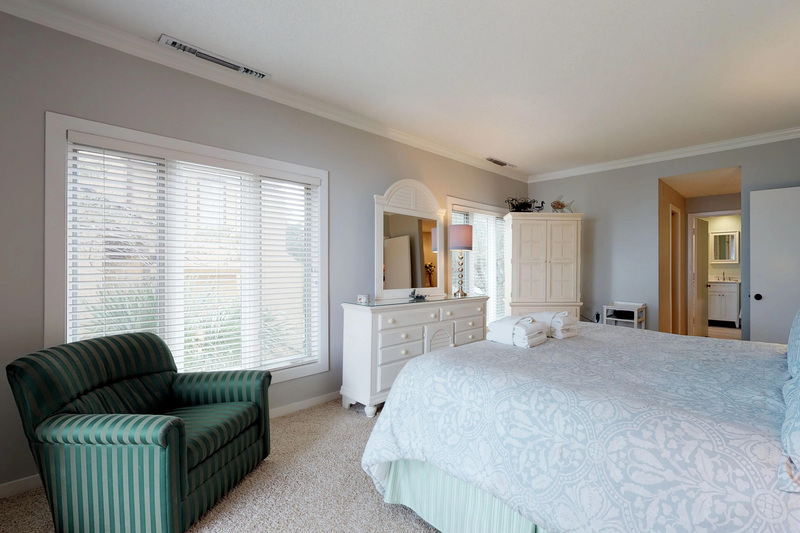 This bedroom enjoys a TV. 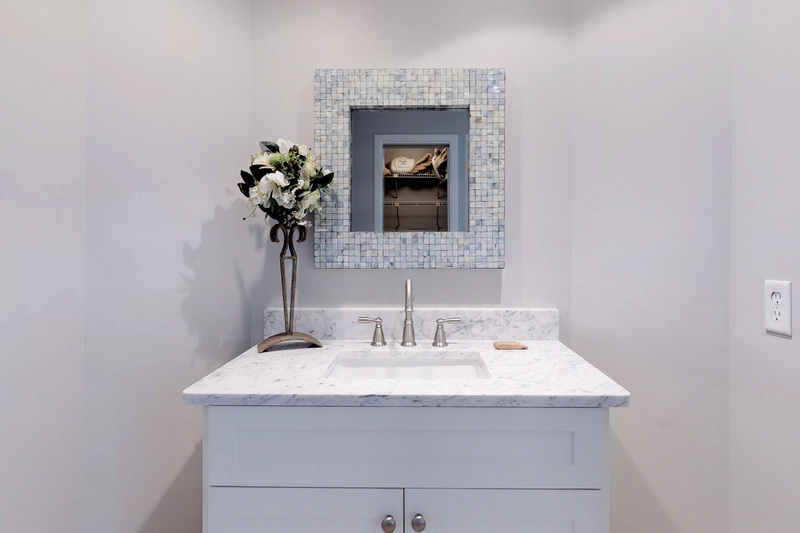 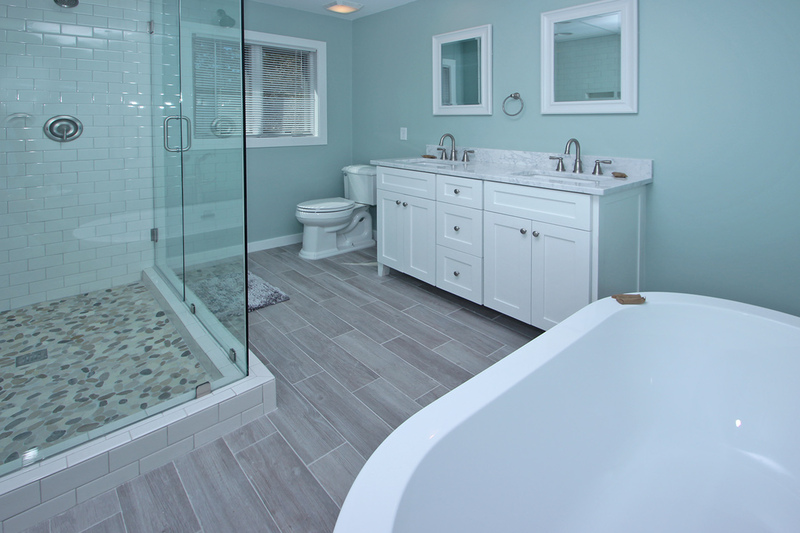 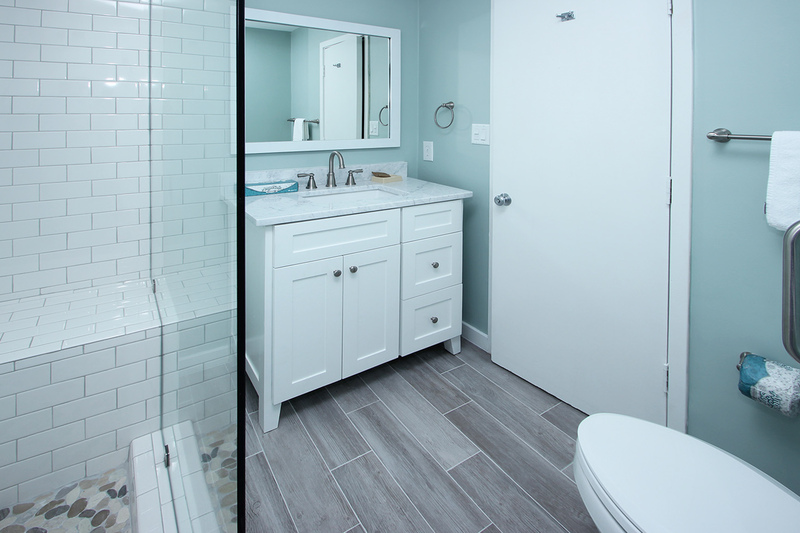 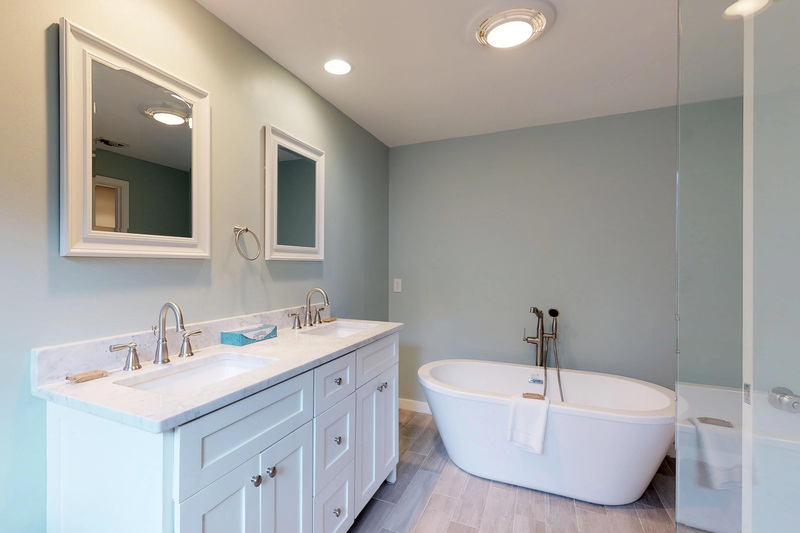 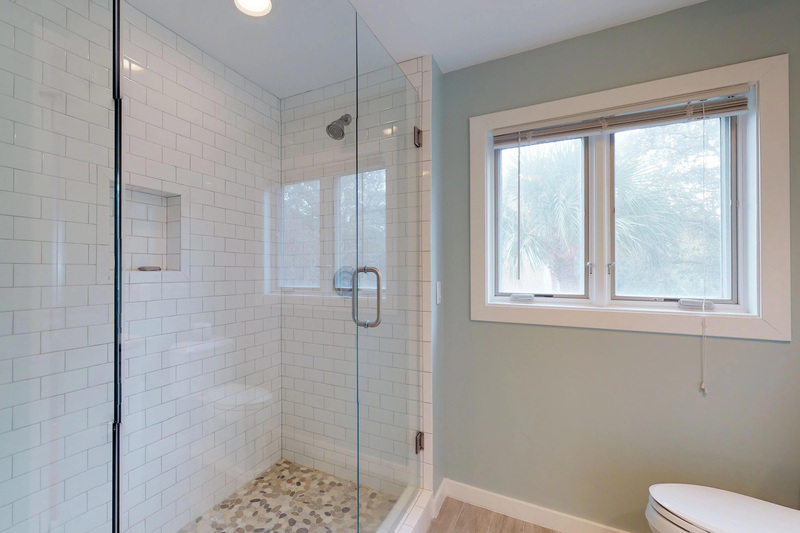 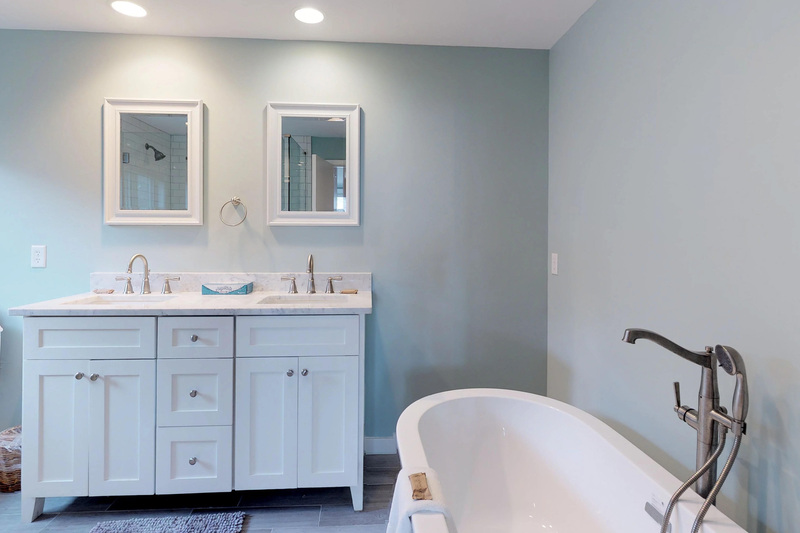 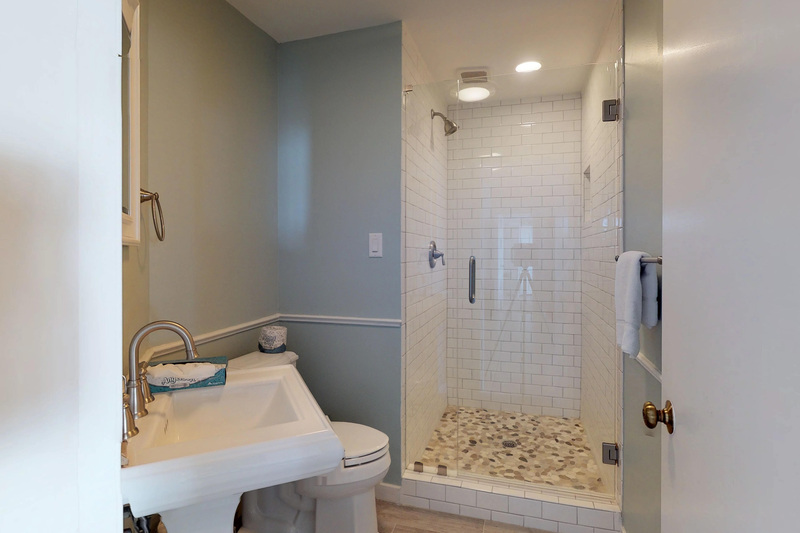 The master bath has a tub with separate walk-in shower. 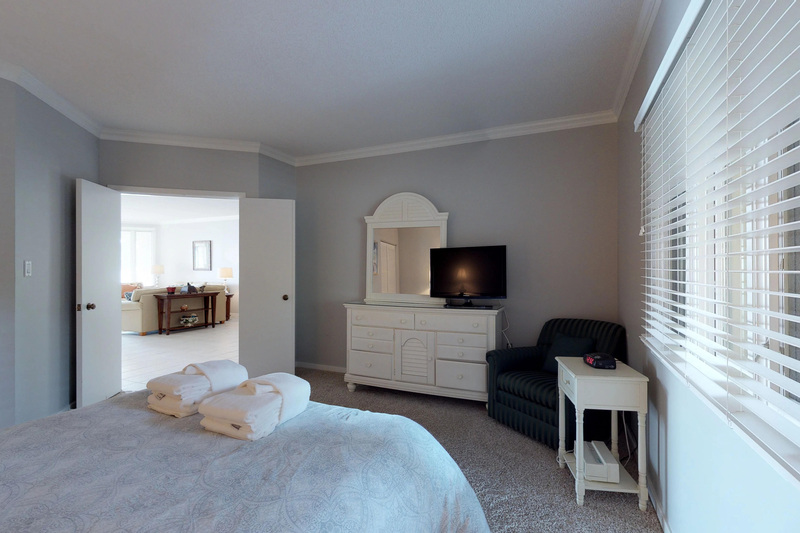 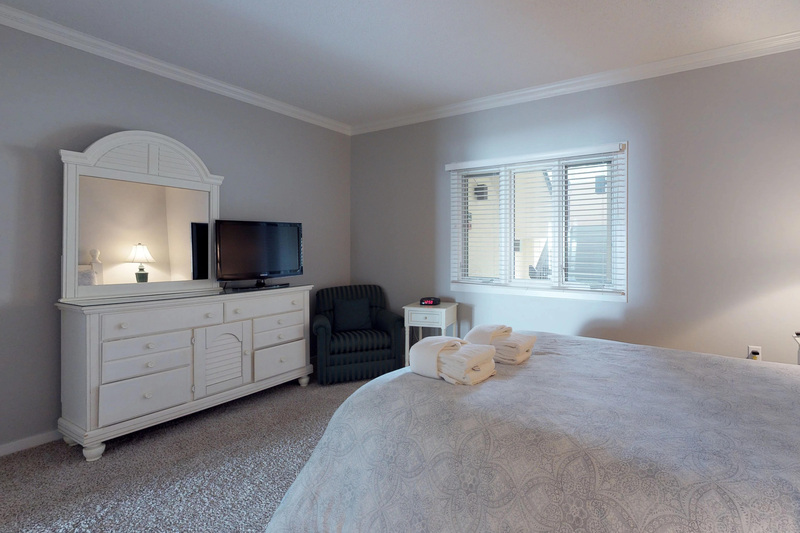 Located off the living room, the second bedroom features a queen bed and also features a 32" flat screen TV. 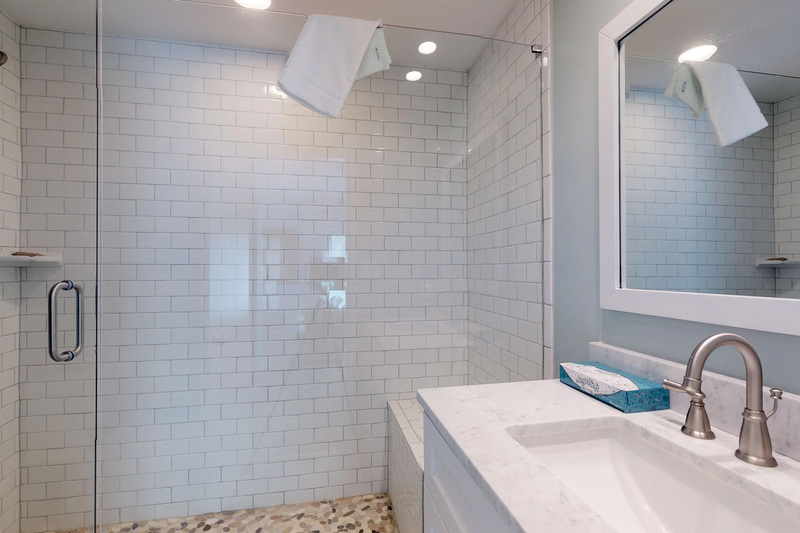 This bedroom shares the hall full bath, which features a step-in shower. 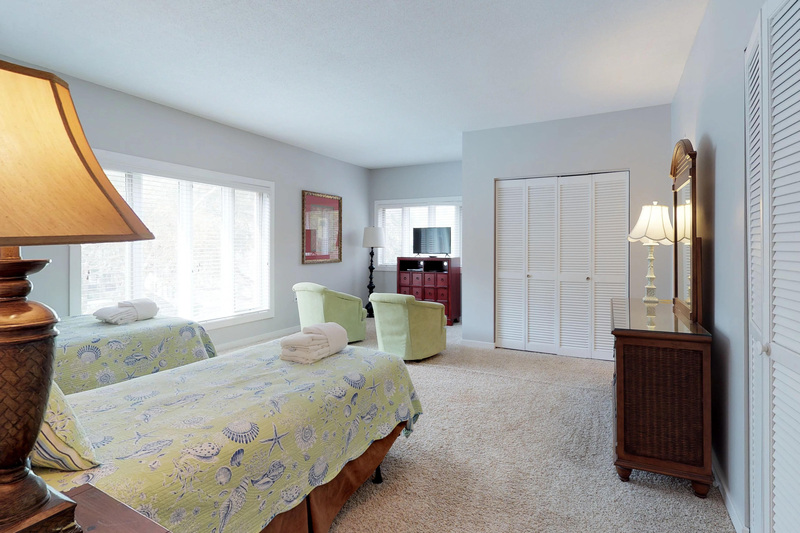 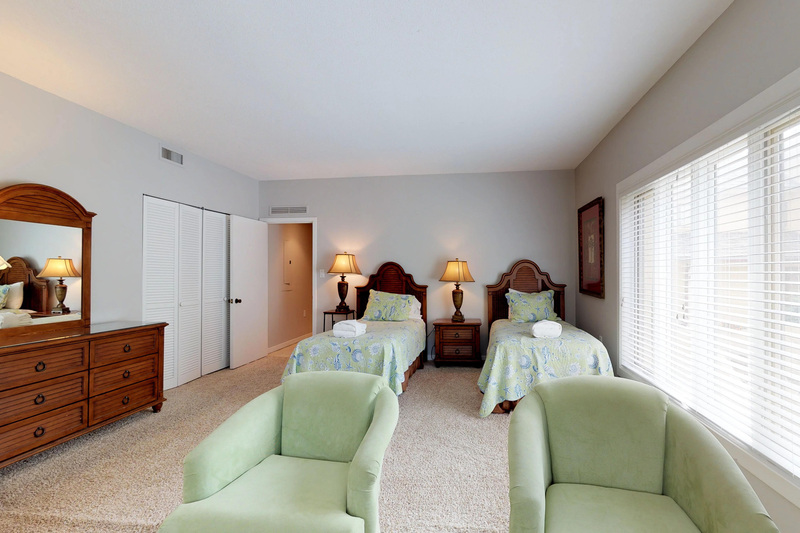 The third bedroom has two twins and a private bath with a step-in shower. 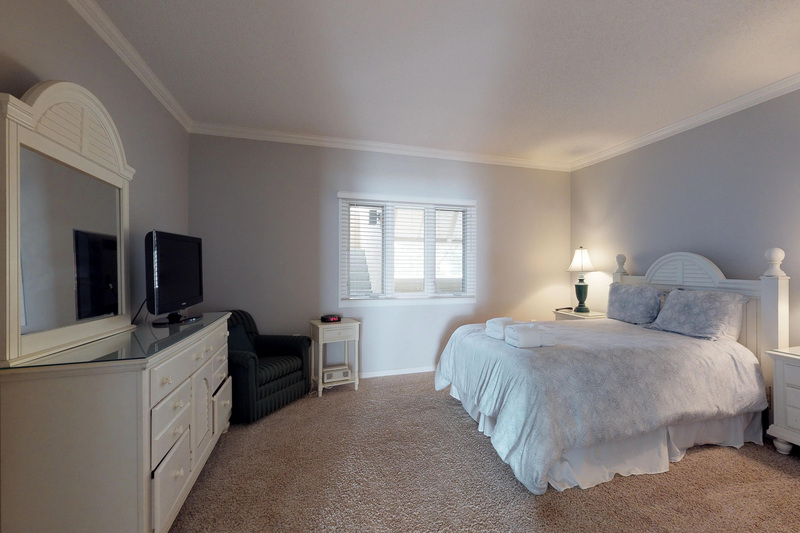 In addition to the 2 twins beds, this bedroom also features a sitting area, which features a 37" flat screen TV with DVD player. 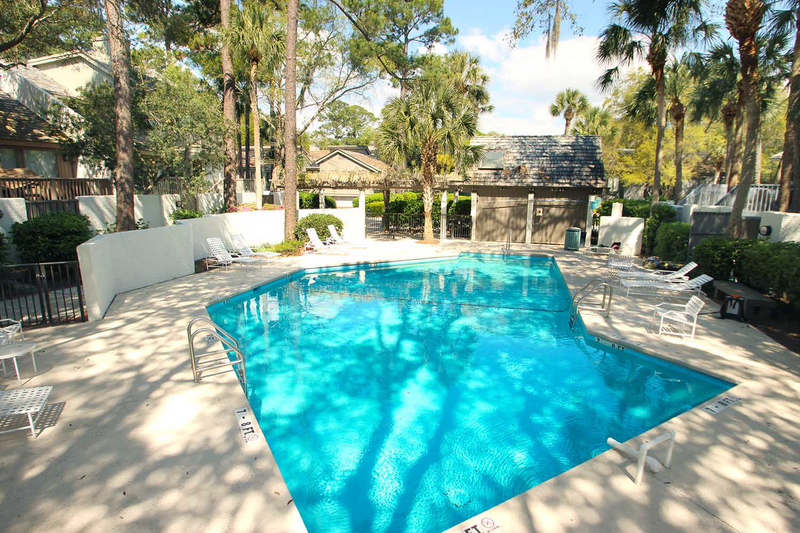 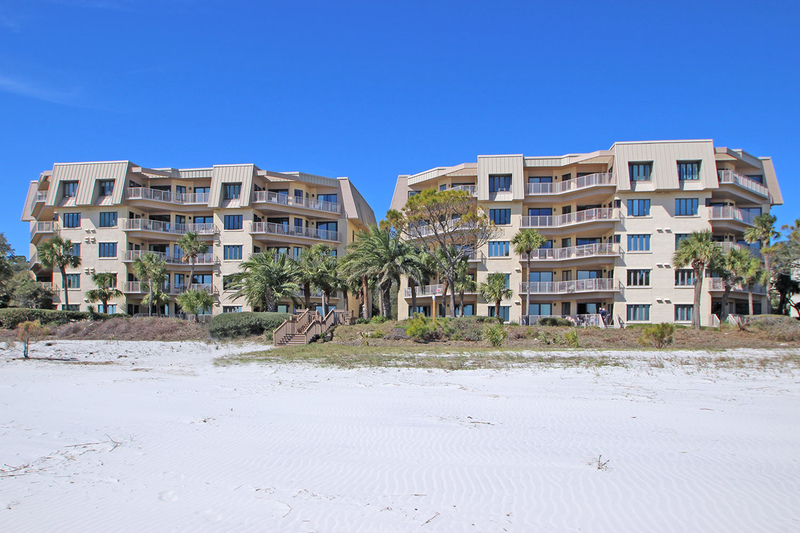 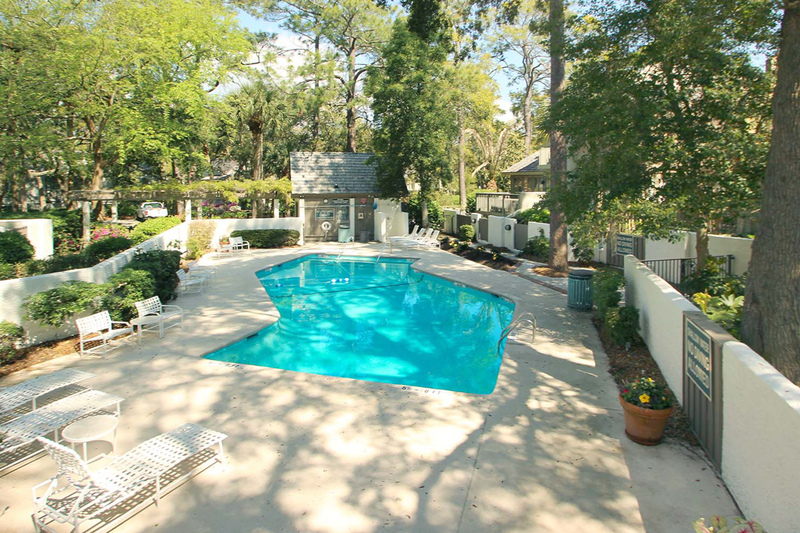 In addition to the pools on site, this unit has access to the Harbour Town pool which is located right in the heart of Harbour Town. 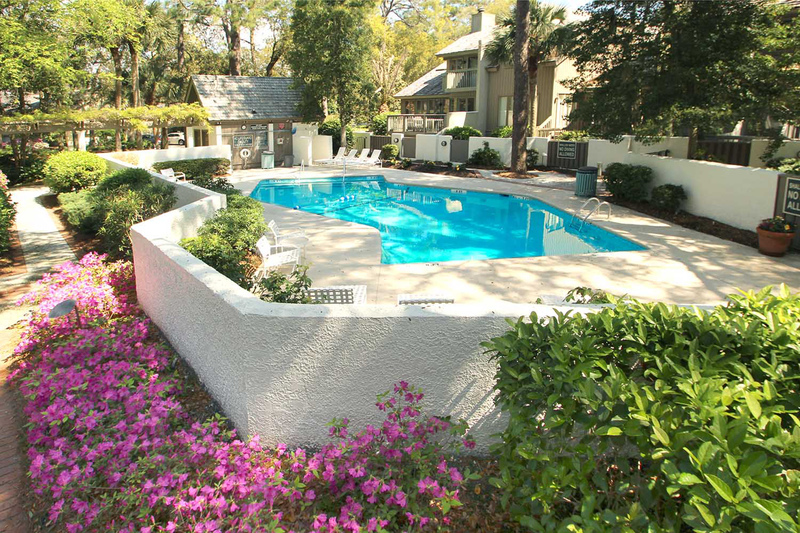 The garage parking at Turtle Lane is for owner use and will not be accessible for guest use.